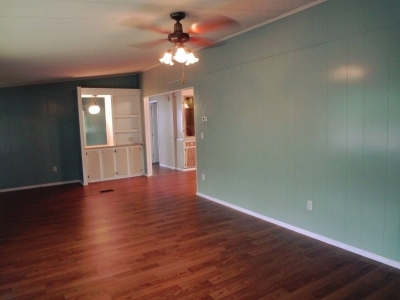 This large home just went through an update with new floors and paint! Large living room has a wood burning fire place and a dry bar. 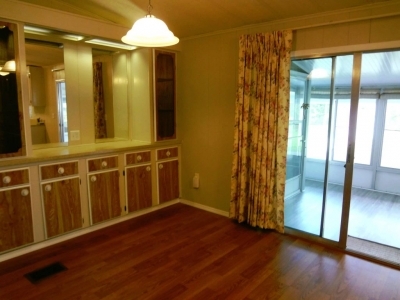 Dining room has a large hutch with lots of storage. 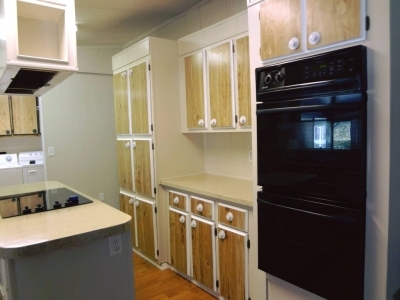 The kitchen has a center island w/ cooktop… with an astounding number of cupboards and pantry storage. There are newer double wall ovens and a double door fridge. Updated countertops! 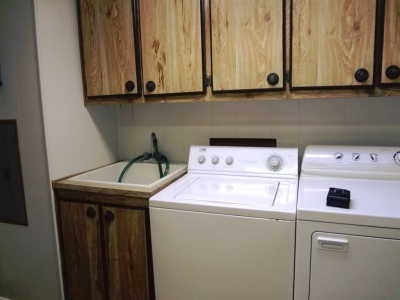 The indoor laundry has a sink and a broom closet! 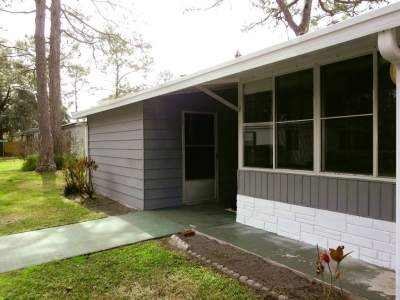 Two bedrooms are at the front of the home (master at the rear). 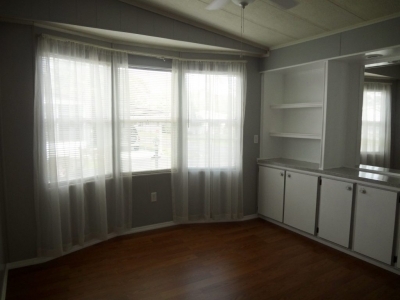 One bedroom has a wall of built-ins making it perfect for a den or office. 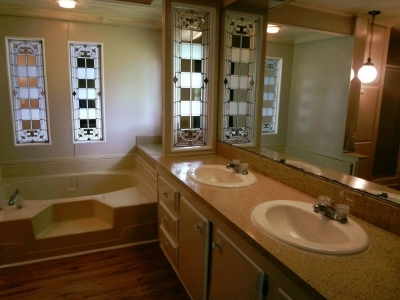 Master bathroom has a step in shower, a garden top, & double sink long vanity top. 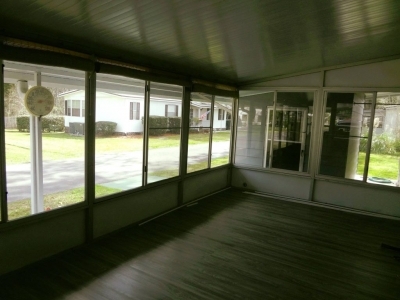 The 21 x 10 glassed in porch is located outside the dining/kitchen – a great spot for breakfast!. Large storage shed w/ work bench & power. Newly painted exterior. 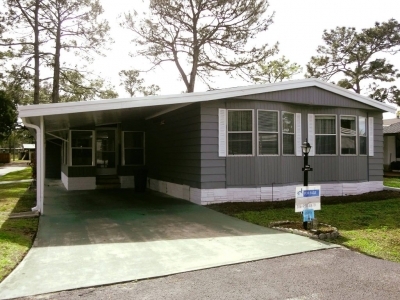 Located within an easy walk to clubhouse and pool. 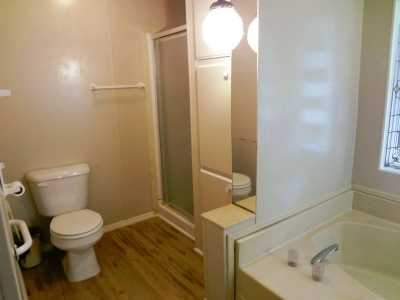 Community lot rent ($514) includes trash pickup, lawn mowing, water/sewer, basic cable and many activities. Heated pool.